Tagging someone on Instagram may seem like a simple task, but with the various Instagram updates and added features, there are a few different ways to tag friends in photos now. When you tag someone in a photo or video, you are either letting them know that they are in the picture, or telling them to check it out. 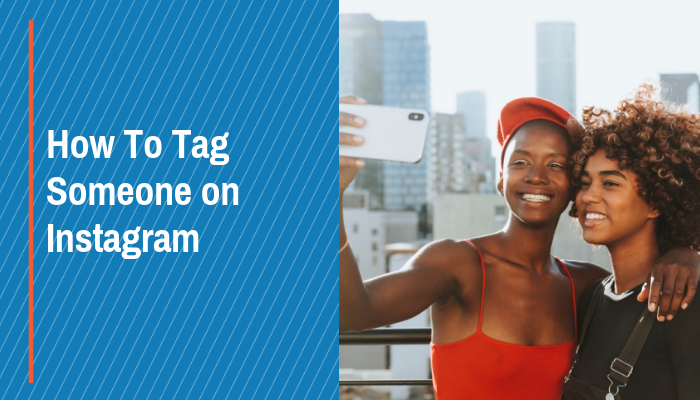 Learn the various ways that you can tag on Instagram. 1.1 How Many People Can You Tag on Instagram? Under the caption field, click “Tag People”. Tap anywhere on the photo where you want to place the tag. Search for the username of the person you are tagging. Click the name of the person you want to tag. Click the photo again to tag someone new. You can remove the tag you just added by pressing the tag on the photo and then clicking the “x” that appears next to it. You can also move the tag by pressing and dragging it to a new location on the picture. They can just as easily untag on Instagram if they don’t like the picture. Instagram allows you to tag up to 20 users in one photo if you’re tagging them directly on the image. You can, however, tag more users in the caption of the photo or in the comments. Let’s say you’ve already posted your photo and then you realize that you forgot to tag your friend in the picture. In the past, you would have had to either get over it or delete the whole post and start over. Thankfully, Instagram added an “Edit Post” option. On the post that you want to tag, click the three dots in the top right corner. In the bottom left corner of the photo, click “Tag People”. Tap where you’d like the tag to appear on the image. Search for the user you want to tag and click their name. Tap “Done” to confirm the tag and then “Done” again to complete your edit. You can also use the “Edit” option to remove a tag, or to tag someone in the caption. As you type your caption, type @ and begin typing the username you want to tag. Tap the user when they appear as a suggestion, or type their complete username. Complete your caption and press done. Click the “Add a comment…” field under the post you want to comment on. As you type your comment, type @ and begin typing the username you want to tag. Tap the user when they appear as a suggestion, or type the complete username. Press “Post” when your comment is complete. Once you’ve chosen an image, click anywhere on the story to begin typing a caption. Once you’ve chosen an image, click the square smile sticker button at the top of the screen. Type in the username you want to tag and click the user when they appear. Both captions and mention stickers can be moved on your story by pressing and dragging. You can also pinch to make the caption or sticker larger or smaller. To remove the caption or sticker, press and drag to the trash can icon that appears in the center bottom of the screen. Now that you know how to tag others on Instagram, you may want to check out what posts you’ve been tagged in. To view your tagged photos, go to your profile. Under your Instagram bio and story highlights, click the icon to the far right. Here you’ll find the photos and videos that you have been tagged in.